Quick overview Reflective practice has been widely adopted as a successful method for developing nursing. The second edition of Transforming Nursing through Reflective Practice provides a wealth of new insights from practitioners actively involved in reflective practice in nursing research, education, clinical practice and practice development. Reflective practice has been widely adopted as a successful method for developing nursing. 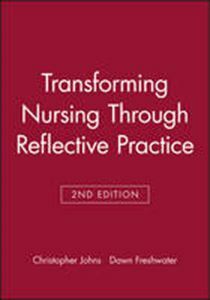 The second edition of "Transforming Nursing through Reflective Practice" provides a wealth of new insights from practitioners actively involved in reflective practice in nursing research, education, clinical practice and practice development. This invaluable book enables nurses to continually evaluate their own practice in order to inform their approaches to reflection; critique, develop and monitor their professional practice; and thereby improve the quality of their patient care. There is a greater emphasis in the new edition on transforming practice, the research base for reflective practice and grounding the reflective process in clinical practice. It examines the contribution of reflective practice to nursing, and enables nurses to continually develop their practice and improve patient care. It includes insights from many areas of clinical practice, explores the role of reflection in clinical supervision and research studies, and examines the role of narrative and reflective dialogue in reflective practice.